As you may know, we have boxes upon boxes of Halloween costumes and decorations in our house in San Francisco. None of them made it to Bellevue with us, as we figured we'd travel back to SF to have our annual Halloween parties there. Alas, it didn't happen this year, as we had too much travel going on this month. That left me with a bit a dilemma of not having anything to wear tonight. What's a girl to do? From that, I pieced together an outfit. I put it together with a black top, black tights, one of my walking skirts and my stiletto Doc Martens. I call it: Pattern-Challenged Minnie Mouse. I met up with John and Gina, who had fabulous costumes from a Halloween Party that they had attend last weekend. His costume was really great, and Gina did an amazing job on that headpiece!! Gina was a Mad/crazy/zombie Alice, as in Alice in Wonderland. Again, not being hip, I learned that there is a video game called "Alice: Madness Returns" in which Alice is in an Asylum. Who knew? Anyhow, their costumes were great, and they won "Best Adult Costumes"! Yay!! The party was fun. I arrived about an hour in, and it only lasted about an hour after. There were lots of kids in cute costumes, which is always fun see! It was also a really nice way to meet a few of our neighbors. This is the first time I've had a chance to go to one of our building's parties, and I was able to go. I totally spaced today. I left the our place to go to Costco, and it wasn't until I driving in the rain and on the freeway that I realized I hadn't brought an umbrella or rain jacket. Oops. It's been over a year since we traveled to South Africa, which means I am eligible to donate blood/platelets again. Yay! We live a mere 2 blocks away from the local blood center here in Bellevue. I went in yesterday afternoon, intending to check out the center and maybe make an appt. I told the volunteer at the front desk that I'd like to make an appt to donate platelets. She suggested that since I was new to their center (and to the network) that it might be best for me to first donate whole blood so that they can have an analysis of my blood on file first. It turns out, the center was slow when I first went in, so I decided to donate whole blood then and there. It went well. It's been such a long time since I've donated whole blood (I've been donating platelets for years) that I forgot how much faster it is to donate whole blood. Once my information is in the system (3 days or so) I'll be able to sign into their website, create an account and make a platelet donation appointment. I'll probably try to donate platelets early next week. It'll be good to be able to donate again. 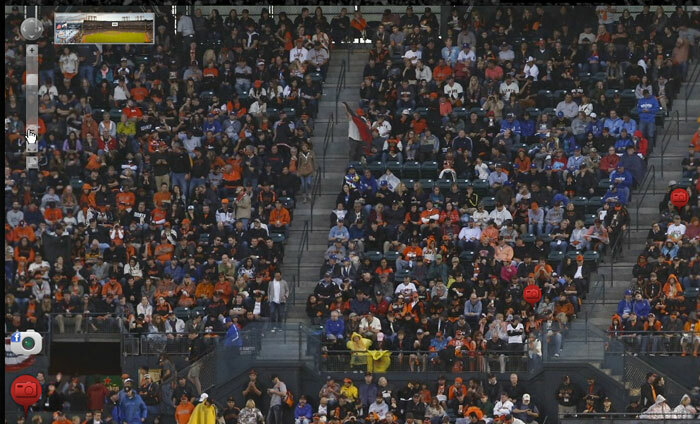 Find The Chows: World Series Style!! I caught up with my parents on the phone this morning for about an hour. 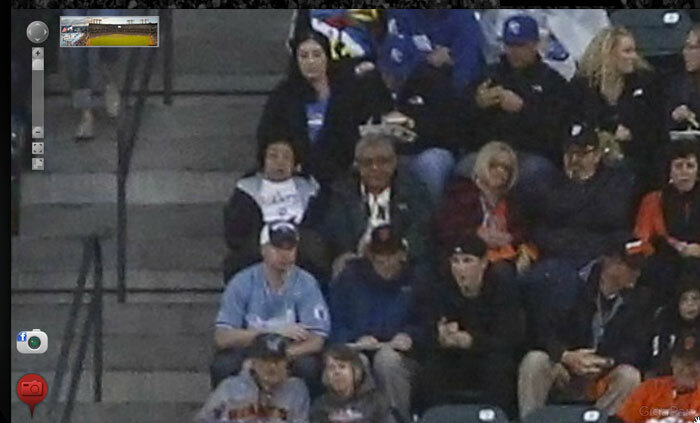 Imagine my surprise when they told me that they were at AT&T Park Saturday night for Game 4 of the World Series!! How cool is that?! And what an exciting game to watch live!! This afternoon, my parents sent me a link to this fun site that shows the entire crowd in the stadium from various games. My Dad told me which game they were at, which level, which section and which seats. I just kept zooming, and zooming and zooming until I was able to spot them! Cool! 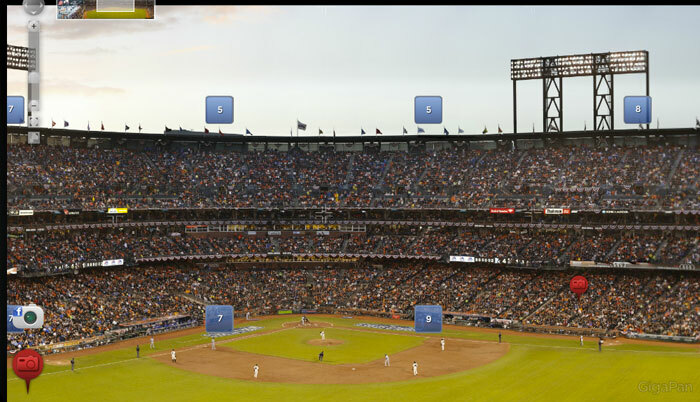 We’re at game 4 view 2, section 318 (just right of home plate) in the upper deck, row 7, seats 1 and 2 on the aisle. 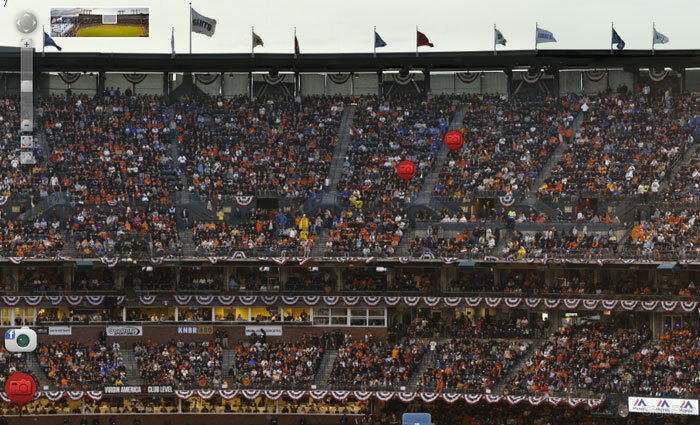 It was the third inning before the Giants rallied so we’re looking somewhat glum. Find your parentals! We're all packed up and ready to head home to Seattle. It's been a really wonderful vacation, but it'll be nice to be back home, too. A visit to Mecca- The Trina Turk Store!! Today, we spotted a Trina Turk boutique after we got off the High Line in New York's Meatpacking District. Oh, my!! So much fun, and it only reiterated how much I love this designer. Campfire, Jazz, S'mores and Banana Boats! Up, and Heading Out for Day Two!!! The Immediate Impact Walk begins TOMORROW!! Tiff & Graham's Wedding Day! !